Coolest Crystal Statues and Figurines to Collect! *The Most Beautiful and Unique Crystal Statues and Figurines to Collect! I have always loved crystal statues. When I was a teenager I used to collect crystal pyramids! I also love cute crystal animals and crystal angels. Nowadays you can find crystal statues in pretty much every shape imaginable, including small crystal buildings! Crystal statues are usually larger than crystal figurines and Swarovski crystals are the best! I selected here my top favorite crystal statues and figurines being sold right now. They also make great gift ideas for anyone! They look amazing when the light passes through them too! 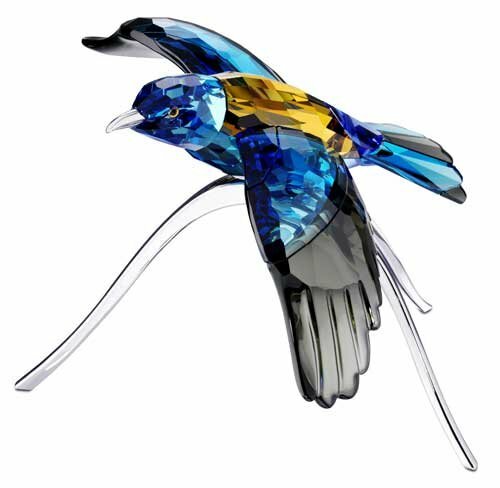 I love crystal animal statues and crystal birds are among my favorites! 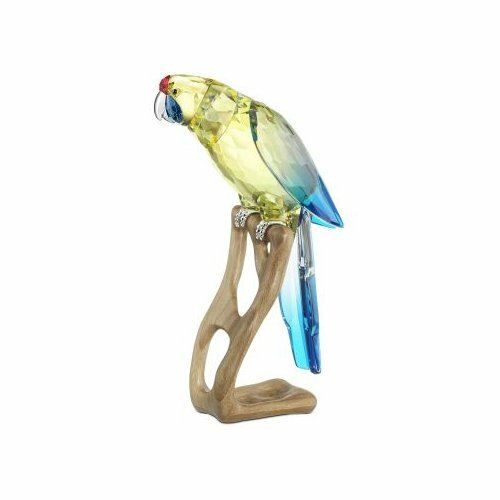 This is a gorgeous and fairly large blue crystal bird figurine with gorgeous topaz crystal accents. He is incredibly detailed, caught in mid-flight! This will make an amazing gift idea for a very special bird lover in the family! *What a Stunning Pair of Colorful Crystal Birds! 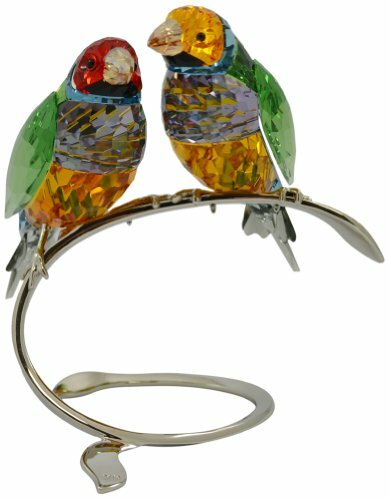 I LOVE colorful crystal animal figurines, and when I saw this stunning pair of Swarovski Gouldian Finch crystal birds I went crazy! They are perched on a nice silver display. Who is the lucky bird lover getting this today? 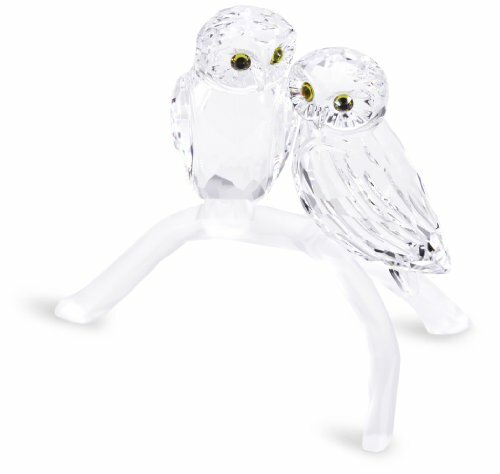 How cute and lovely is this pair of clear crystal owls on a branch? Perfect gift idea for your wife, mom or girlfriend! Now all you have to do is find that perfect spot for them in your home! Preferably somewhere with lots of sunlight, so they can sparkle! Unique Crystal Animal Figurines for Sale! How absolutely gorgeous and impressive is this golden crystal jaguar figurine? He is walking on a clear crystal base and will look amazing anywhere you decide to place it! It’s a cute Pluto crystal figurine! He was crafted in a gorgeous topaz crystal and his tail, ears and nose in jet crystal! What a fun crystal figurine to collect! 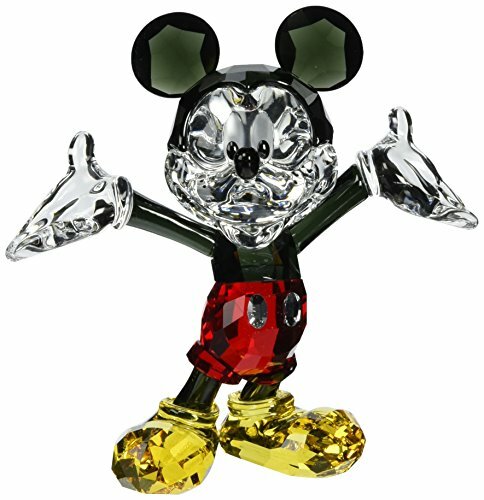 This colorful crystal Mickey Mouse figurine is my favorite Disney crystal figurine ever! He has amazing details and beautiful colors! I love his red crystal shorts! 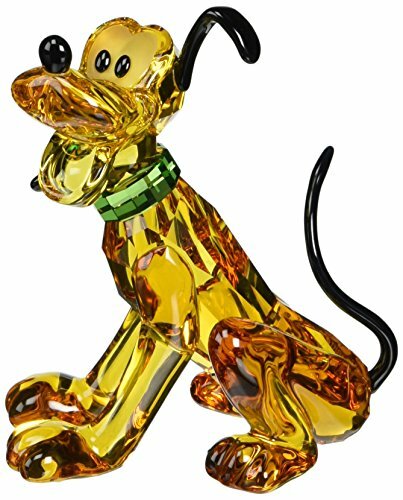 One of the best crystal statue gift ideas for any Disney fans! *Adorable Crystal Minnie Mouse Figurine! Of course I also love Minnie! 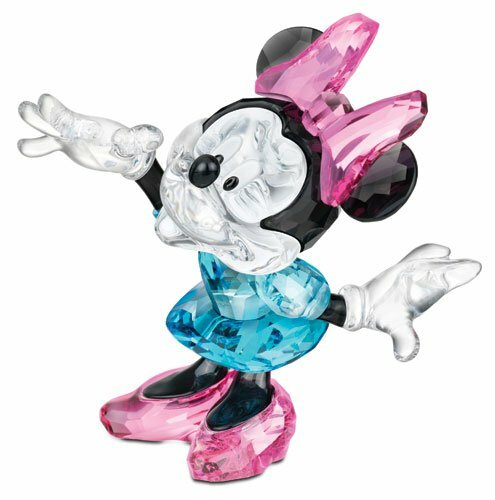 How cute and adorable is this colorful Minnie Mouse crystal figurine for sale? Of course you have to place her right next to Mickey! How gorgeous and girly are her rose crystal shoes and hair bow? 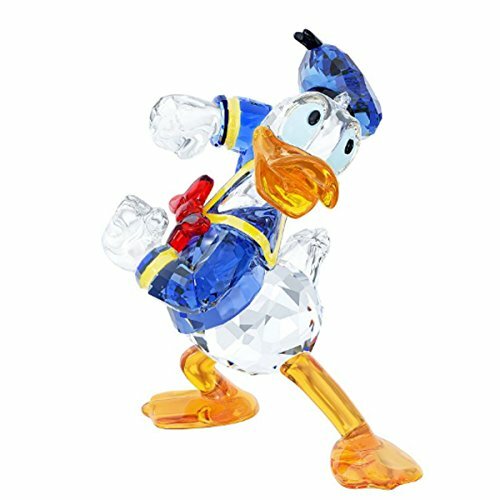 Another favorite crystal animal figurine of mine is this cute and colorful Donald Duck crystal figurine for sale! I LOVE Beautiful Crystal Flowers! 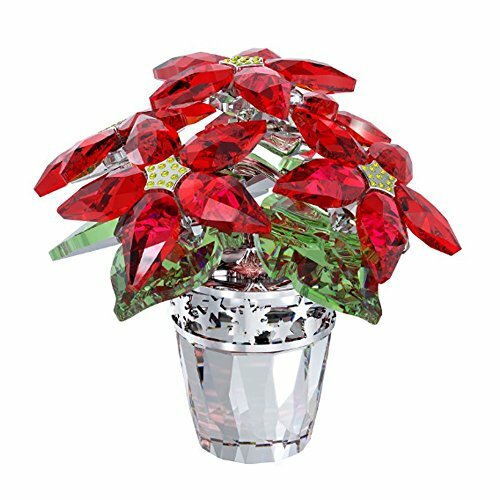 I also love beautiful crystal flower figurines, such as this gorgeous Swarovski crystal poinsettia flower vase! I love the color contrast between the clear crystal vase and the red crystal flowers and green crystal leaves! It is a stunning piece that will put a smile on your face every time you see it on your shelf or side table! Tulips are among my favorite flowers! 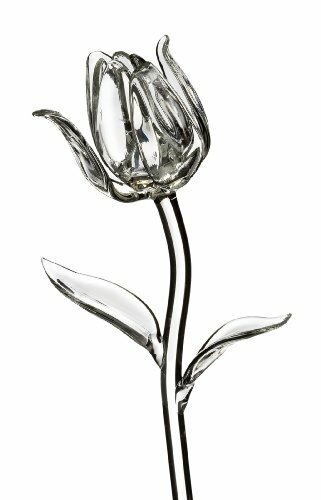 A gorgeous crystal tulip for sale! It’s also surprisingly large, at 15 inches! You will also be pleasantly surprised with the price! I also had to show you this beautiful crystal rose! 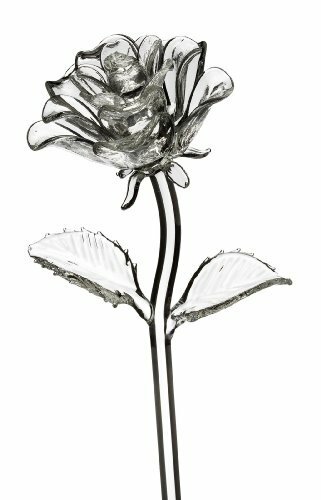 One of the most beautiful and romantic crystal flowers around! How’s that for a nice Valentine’s Day gift idea for her? 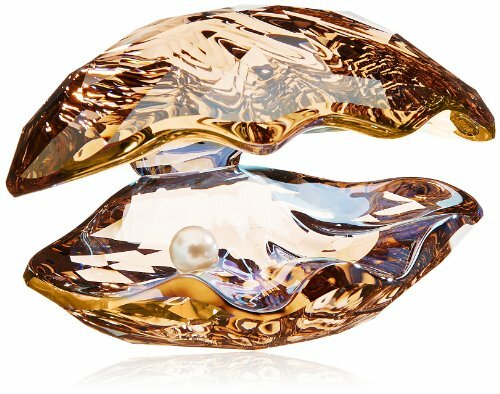 Stunning Swarovski Crystal Oyster Shell with Pearl! This is by far one of the most stunning crystal sculptures for sale out there! It’s a gorgeous crystal oyster with a pearl! Definitely a must-have in any crystal figurine collection! 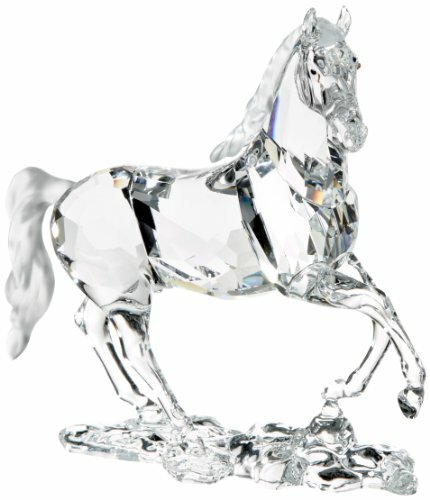 If you are a horse lover and a crystal statue collector, then you are going to go crazy with this beautiful and highly-detailed clear Swarovski crystal Stallion horse figurine for sale! Imagine how magical he is going to look when the sunlight passes through him! Have you ever visited a Swarovski crystal museum before?